Choosing the right messaging system during your architectural planning is always a challenge, yet one of the most important considerations to nail. As a developer, I write applications daily that need to serve lots of users and process huge amounts of data in real time. Usually, I use Java with the Spring Framework (Spring Boot, Spring Data, Spring Cloud, Spring Caching, etc.) for this. Spring Boot is a framework that allows me to go through my development process much faster and easier than before. It has come to play a crucial role in my organization. As the number of our users quickly grew, we realized our apparent need for something that could process as many as 1,000,000 events per second. 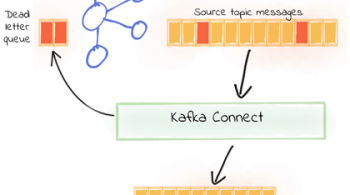 When we found Apache Kafka®, we saw that it met our needs and could handle millions of messages quickly. That’s why we decided to try it. And since that moment, Kafka has been a vital tool in my pocket. Why did I choose it, you ask? That’s why I decided to use it in my projects. 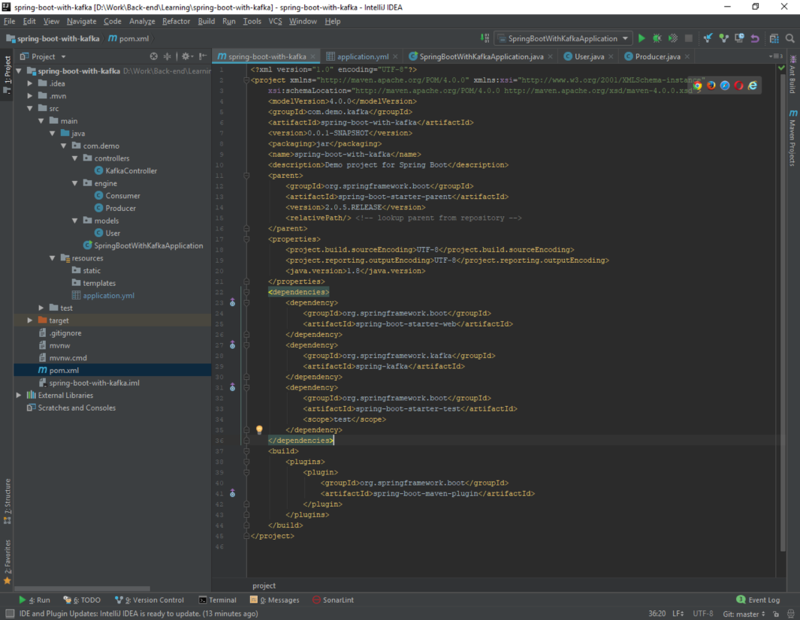 Based on my experience, I provide here a step-by-step guide on how to include Apache Kafka in your Spring Boot application so that you can start leveraging its benefits too. I recommend using the Confluent CLI for your development to have Apache Kafka and other components of an event streaming platform up and running. 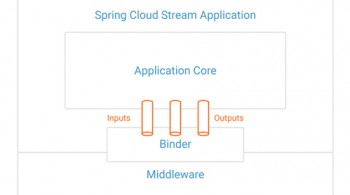 After reading this guide, you will have a Spring Boot application with a Kafka producer to publish messages to your Kafka topic, as well as with a Kafka consumer to read those messages. First, let’s go to Spring Initializr to generate our project. Our project will have Spring MVC/web support and Apache Kafka support. Once you have unzipped the project, you’ll have a very simple structure. I’ll show you how the project will look like at the end of this article so you can easily follow the same structure. I’m going to use Intellij IDEA, but you can use any Java IDE. Now, you can see what it looks like. Let’s move on to publishing/reading messages from the Kafka topic. If you want to get more about Spring Boot auto-configuration, you can read this short and useful article. For a full list of available configuration properties, you can refer to the official documentation. Creating a producer will write our messages to the topic. 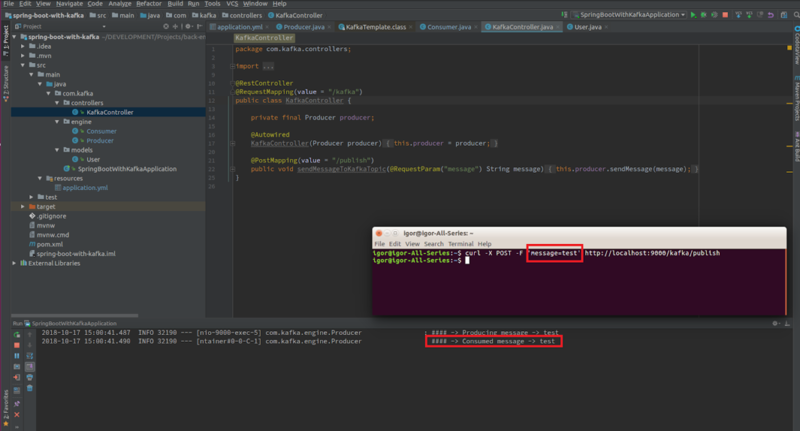 We just auto-wired KafkaTemplate and will use this instance to publish messages to the topic—that’s it for producer! Here, we told our method void consume (String message) to subscribe to the user’s topic and just emit every message to the application log. In your real application, you can handle messages the way your business requires you to. If we already have a consumer, then we already have all we need to be able to consume Kafka messages. To fully show how everything that we created works, we need to create a controller with single endpoint. The message will be published to this endpoint, and then handled by our producer. Then, our consumer will catch and handle it the way we set it up by logging to the console. Basically, that’s it! 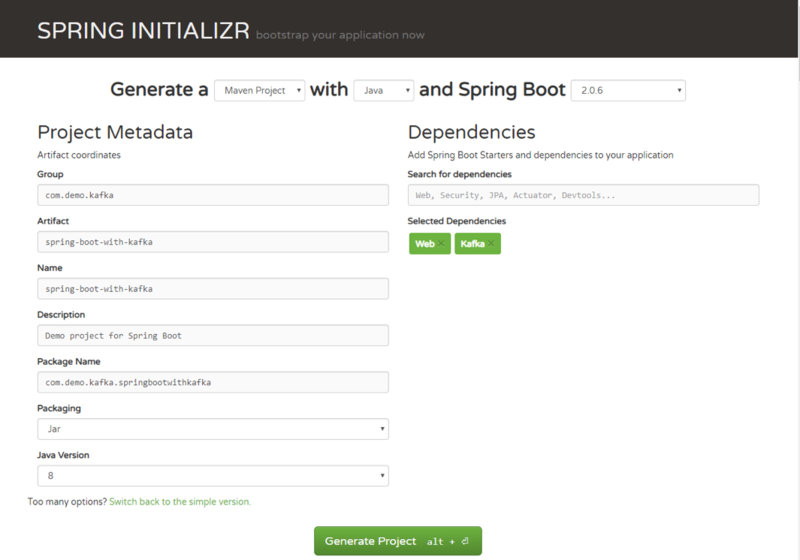 In fewer than 10 steps, you learned how easy it is to add Apache Kafka to your Spring Boot project. 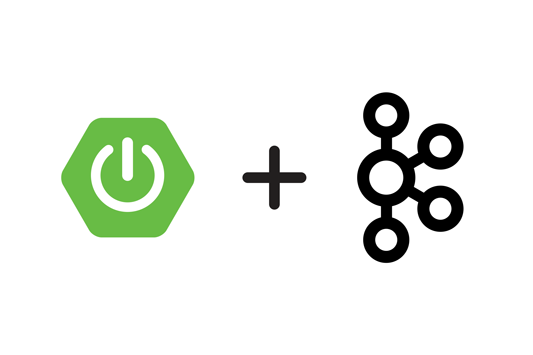 If you followed this guide, you now know how to integrate Kafka into your Spring Boot project, and you are ready to go with this super tool! If you’d like to know more, you can download the Confluent Platform, the leading distribution of Apache Kafka. You can also find all the code in this article on GitHub. This is a guest post by Igor Kosandyak, a Java software engineer at Oril, with extensive experience in various development areas. How to produce and consume AVRO message with Confluent Schema Registry in Spring Boot Application? 2019-01-14 14:46:23.723 WARN 9040 — [ntainer#0-0-C-1] org.apache.kafka.clients.NetworkClient : [Consumer clientId=consumer-1, groupId=group_id] Connection to node -1 could not be established. Broker may not be available. 2019-01-14 14:46:24.104 WARN 9040 — [ad | producer-1] org.apache.kafka.clients.NetworkClient : [Producer clientId=producer-1] Connection to node -1 could not be established. Broker may not be available. Is there anything missing from the guide/code? Hi Daniel! Thanks for reading! First thing I need to suggest is to check if you followed correctly the guide of Confluent CLI installation. This is the main prerequisite for correct working. So I would suggest to make sure it is installed and configured properly.